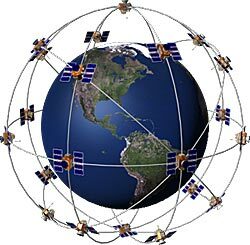 Accurate time is able to be transmitted around the world using satellite navigation technology, with a GPS time server as the foremost example.This system uses 24 satellites orbiting the Earth, each with several synchronised atomic clocks on board. 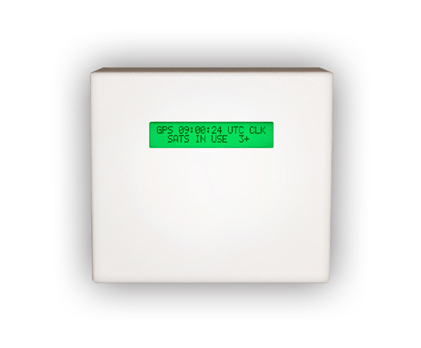 GPS, is an accurate time-transfer system which is available to anyone who has the technology to use it. At any given moment at any pointon Earth at least 4 of the satellites can be seen. A signal from one of the satellites is enough to determine the accuracy of the time,however, signals from four satellites are needed in order to calculate the time and positional information for navigation. The accuracyof the time signals from GPS is limited to ±340 nanoseconds (where 1 nanosecond = 0.000 000 001 seconds) this is a deliberate distortionof the satellite signal (done for military security) and this is called Selective Availability. The clocks that are used to make up the world time system are compared by using the GPS satellites as 'transfer' standards. Laboratoriesin the same region measure the time difference between themselves and individual GPS satellites at the same time. Taking into account thesignal delays, these measurements can be used to calculate the time difference between the laboratories the accuracy of this is approximately±3 nanoseconds. research currently is directed at reducing this time transfer error even further, with the promise of improvements by factorsof 100 to 1000, with the future atomic clocks based on the 'cesium fountain' and possibly even 'ion trapping' techniques. UTC is used as a compromise between the time defined by atomic clocks, and the time based on the earth's rotation about its axis. Theseconds of UTC are counted by atomic clocks, an allowance is made to keep UTC within 0.9 seconds of Earth's rotation-time, this is done byinserting leap seconds (to take account of the speeding up or slowing down of the Earth) at the end of each quarter. Twenty two leap secondshave been added between January 1st 1972 and January 1st 1999 either at the end of June or December. Without the addition of leap seconds,the sun would be seen overhead at midnight (rather than noon) after approximately 50 000 years.